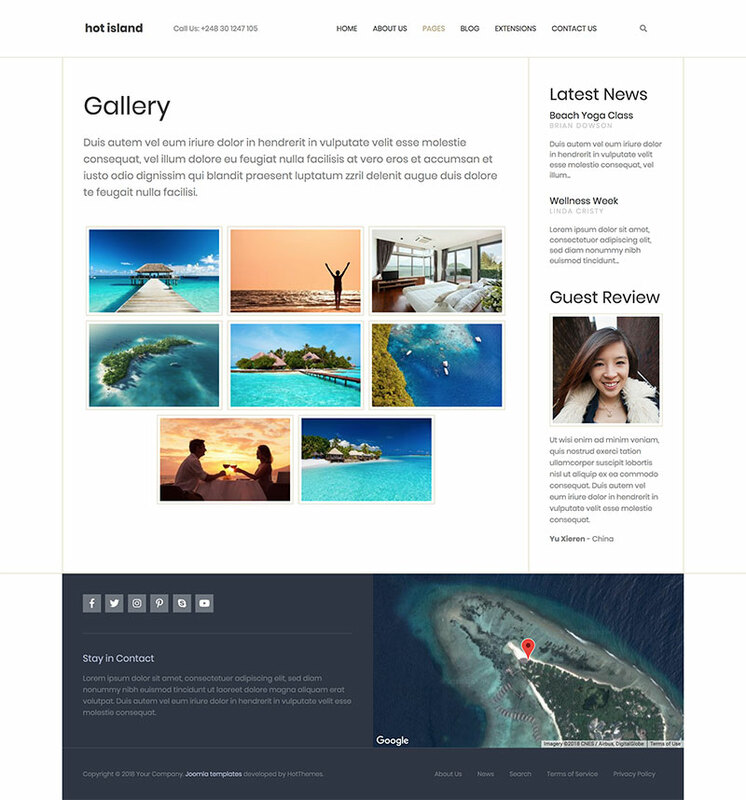 The Hot Island is responsive travel Joomla! 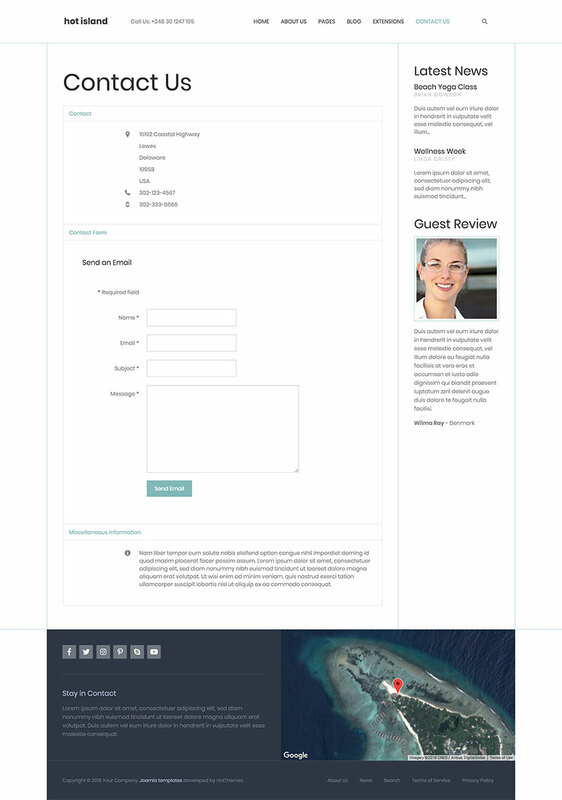 template appropriate for websites of hotels, resorts and touristic destinations. 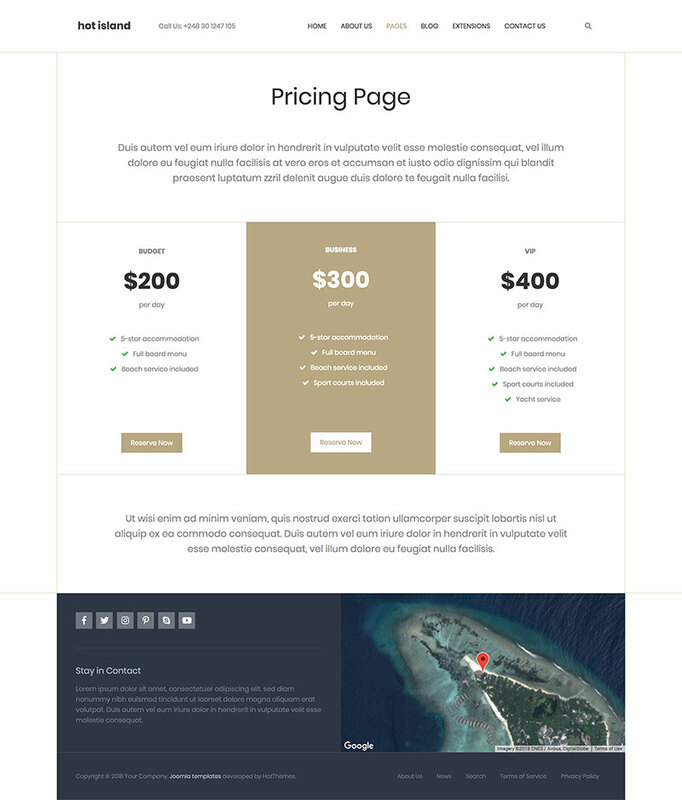 The boxed layout of this template as well as the fonts selection highlight the luxury and elegance of the travel destination. The Island template comes in 3 color variants: golden sand color, green and blue color. The first color symbolises the golden color of the sand. The second color symbolises nature and color of trees and palms. Finally the blue color symbolises the color of the sea. There are two instances of the Hot Swipe Carousel module used on the home page. The bigger instance puts the main focus on the images of the beautiful natural sceneries. The lower carousel instance divide textual block and image as two blocks of the identical dimensions. 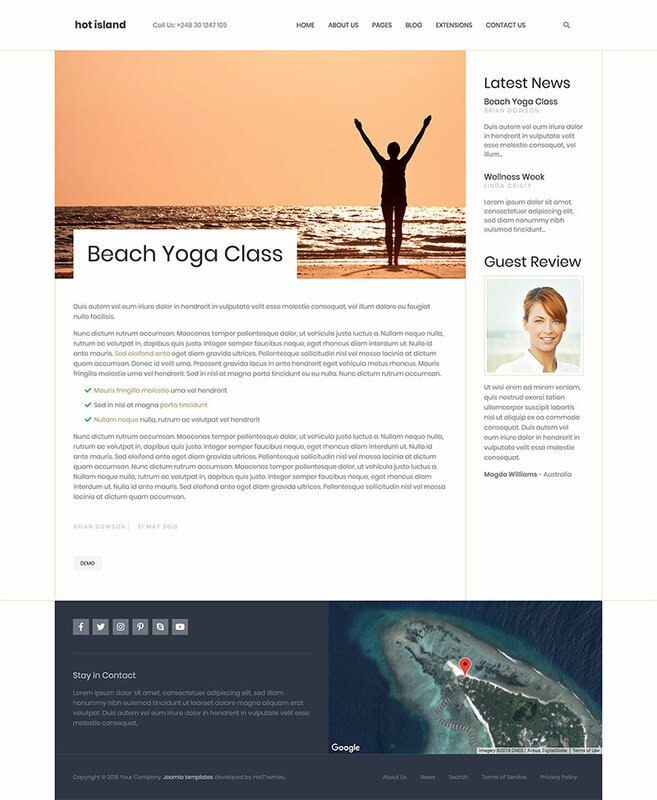 The Island template uses several core Joomla modules to display news and blog articles. There is also a newsflash module which randomly selects and shows client testimonials on home and inner pages of the site. The search module is represented as a simple magnifier icon. Click on the icon opens the module in full screen. It's worth mentioning that template uses the latest collection of Font Awesome icons (version 5). You can see these icons in social module, search module and also on some custom modules. 3 color schemes included. You can change any color easily to make your original color scheme. Total control of all menus through the framework. You can set functionalities and style of all your menus and drop them directly into the layout. This template uses Drop-down menu system which allows the menu items of multiple levels to be included in the drop-down panes.